At the height of the Great Depression, battalions of young men stationed at Euclid Creek Reservation worked tirelessly making Cleveland's Metropolitan Park System accessible to the public. It wasn't just the park system that benefited from their labors, however. Ushered in by parade and sounds of the WPA Band, the Metropolitan Park Board and representatives of the Village of South Euclid formally dedicated Euclid Creek Reservation on June 24, 1936. The day marked the first public dedication of any unit in the Metropolitan Park System. Despite being in the midst of an economic depression, the South Euclid Kiwanis Club threw caution to the wind in planning the celebration. An array of scheduled activities offered a little something for everyone. Ceremonial undertakings were supplemented throughout the afternoon with children's races, games, a Works Progress Administration-sponsored vaudeville act, and appearance by professional strongman Arthur Santell. Once adequate numbers of steel bars had been refashioned into pretzels, a guard mount of the Civilian Conservation Corps lowered the American flag to conclude the evening. The day had been made possible by the labors of these enlisted conservationists. 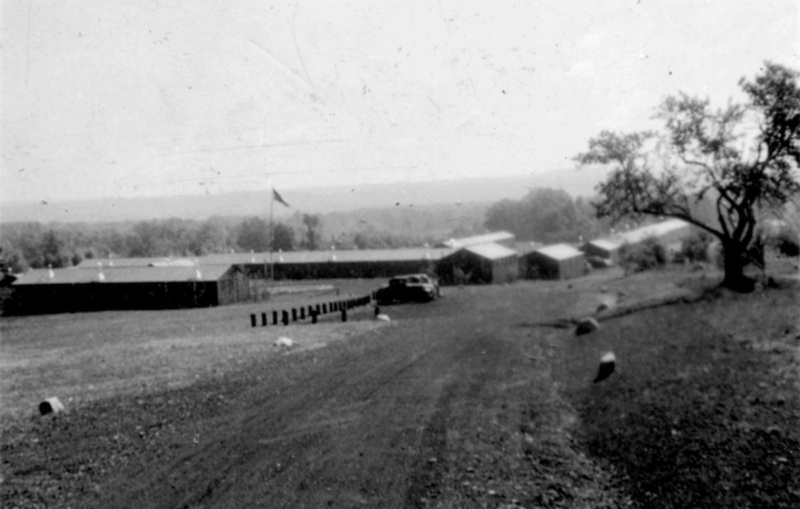 Since November 21, 1933, a junior CCC company was stationed at a barracks within Euclid Creek Reservation on Highland Road. The division spent their days digging, planting trees, landscaping, trimming deadwood, and lugging around stones. 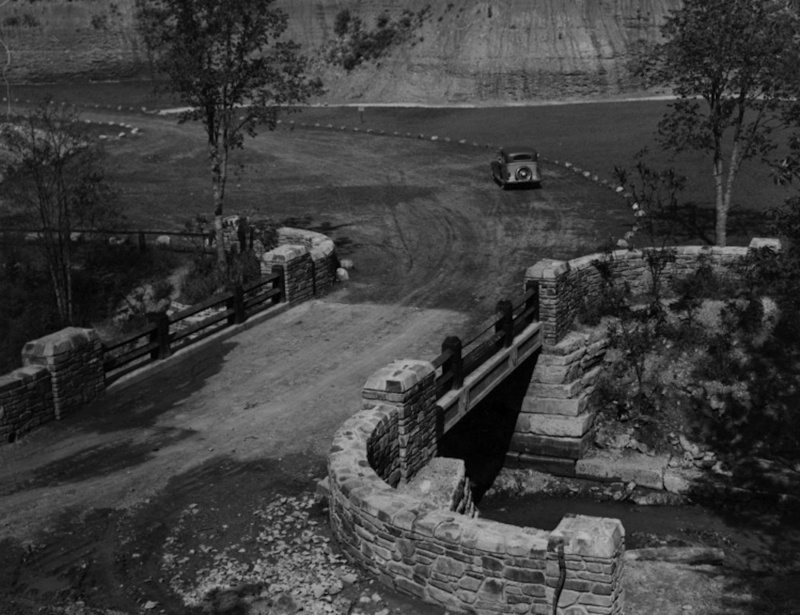 Thanks to the work of "Camp Euclid," the grounds were sculpted with scenic roads, parking lots, trails and picnic areas. The once primitive lands of Euclid Creek Reservation had been transformed into an accessible public park within a few short years. While the Great Depression was far from over at the time of Euclid Creek Reservation's dedication, the new park and its youthful laborers offered a visual representation of the strides made in the country toward achieving social and economic stability. 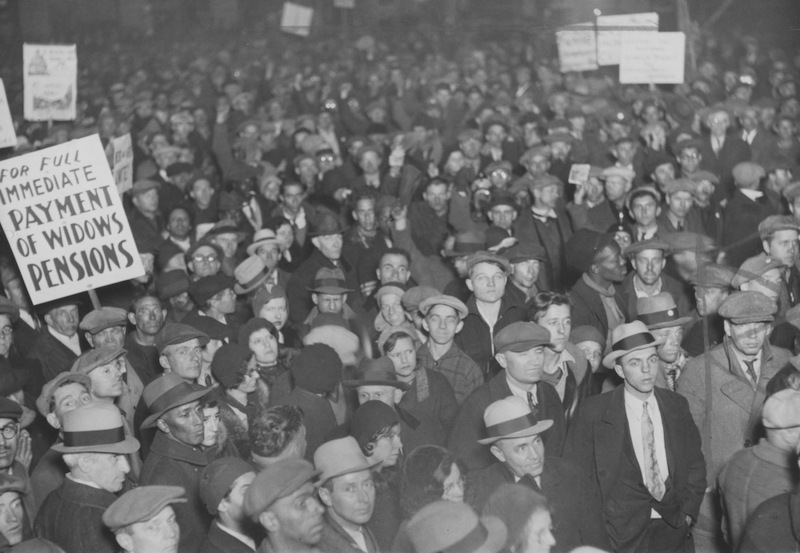 It hadn't been long since the U.S. economy bottomed out and the Great Depression reached its peak. Amid this mess, Franklin D. Roosevelt was inaugurated as President of the United States on the fourth of March. The first actions of his famous "Hundred Days" aimed to stabilize the economy; a bank holiday was called and the Economy Act drafted and quickly passed by both houses of government. By his second week, Roosevelt began efforts to assist the unemployed with government relief and the development of labor creating programs. 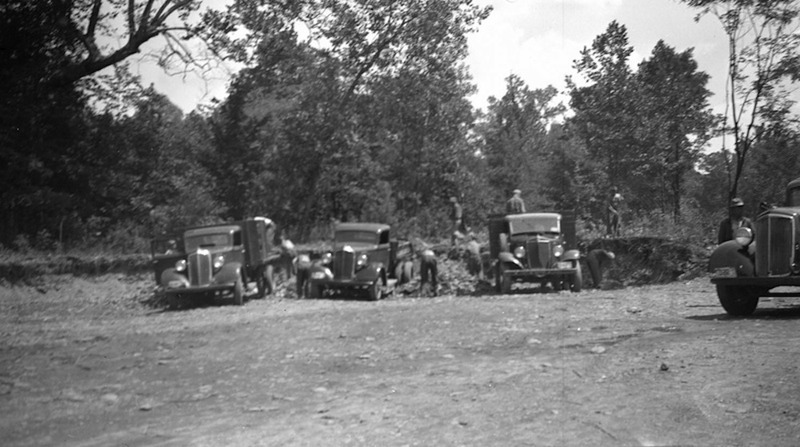 The first work program submitted to both congress and the public was the Civilian Conservation Corps. The bill authorized the government to enlist young men for work on conservation projects. Its hefty goal was to revitalize both the natural environment and the spirit of America's young, disaffected populace. By month's end, the bill passed and efforts were underway to mobilize a work force of America's unemployed youth. 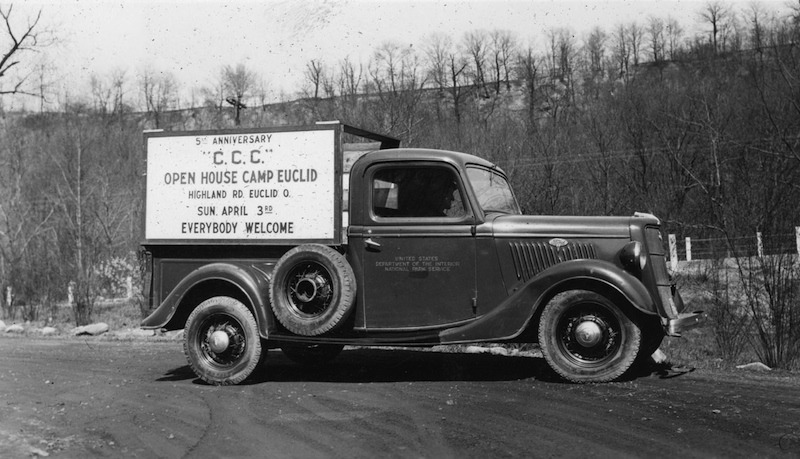 The CCC admitted its first enrollee on April 7, 1933. 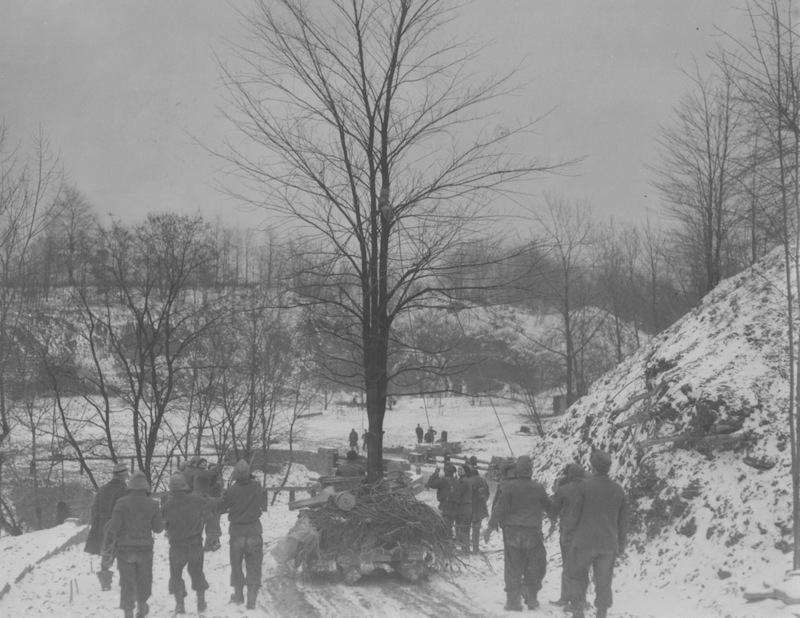 A battalion of Cleveland men were relocated to a U.S. Army reconditioning camp at Fort Knox, Kentucky by the middle of May. 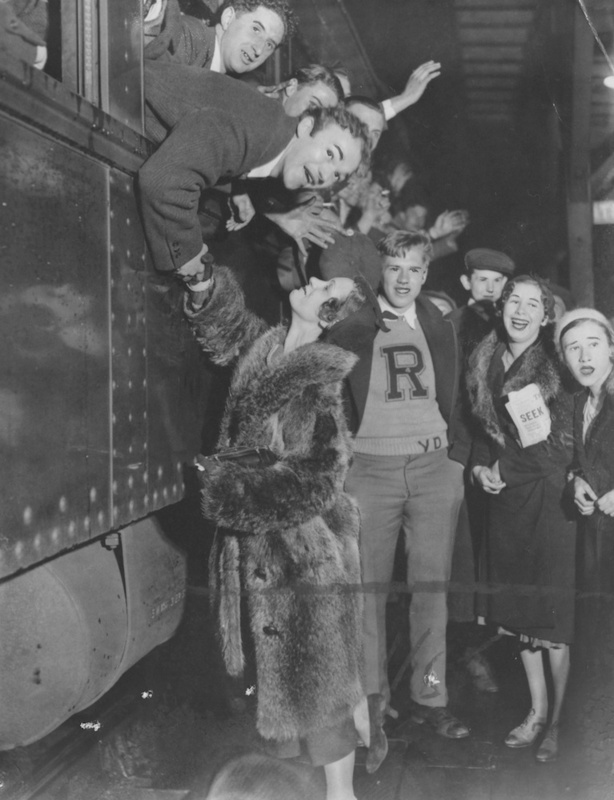 Joining the ranks of over 250,000 men initially recruited for Roosevelt's reforestation army, these young Clevelanders were generally shipped out west or placed in one of the plus 40 companies founded in Ohio state parks that year. Following much planning and filing of paperwork by the Metropolitan Park Board, a CCC camp was secured for Euclid Creek Reservation. State Park 15, Company 595 was established in November to perform manual work in Euclid Creek and North Chagrin Reservations. Under the supervision of engineers and landscape architects, the young men began the labor-intensive process of park building. Work started immediately. 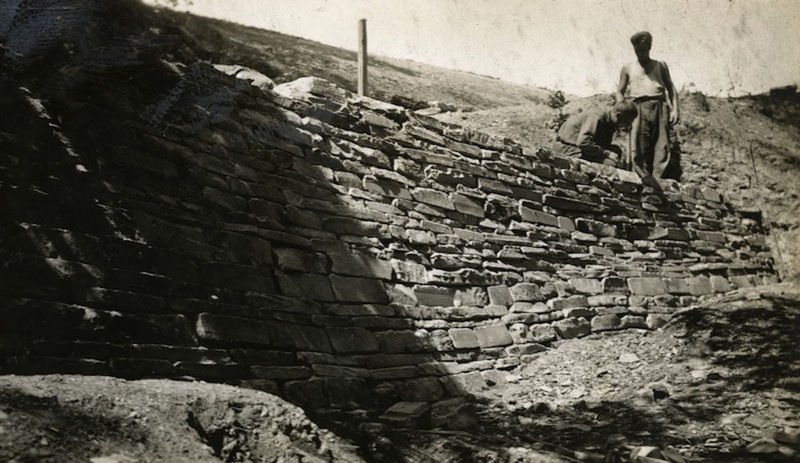 Among their many accomplishments, stone quarries were filled, dams and retaining walls built, foot and bridle trails blazed, a lake excavated, and land graded for drainage and construction. 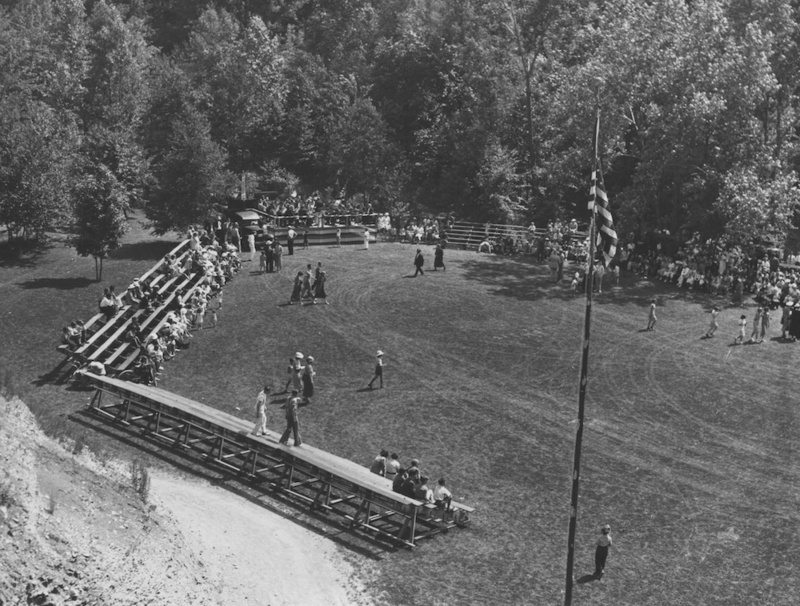 The symbolic opening of Euclid Creek Reservation in 1936 honored more than the park improvements made by CCC crews; the Village of South Euclid had much to celebrate. In addition to offering employment to young men and promoting the conservation of local natural resources, Civilian Conservation Corp camps throughout the United States provided an economic boost to their surrounding communities. Each of the nearly 200 CCC recruits at Camp Euclid pocketed between five and eight of their 30-dollar monthly earnings; with the remainder sent to an appointed family member on relief, the young men often used this allowance for recreational activities at local establishments such as pool halls, bars, movie theaters and restaurants. Camp construction, maintenance, and the purchase of operational supplies also supported regional employment and businesses. A CCC camp cost around $20,000 to build. 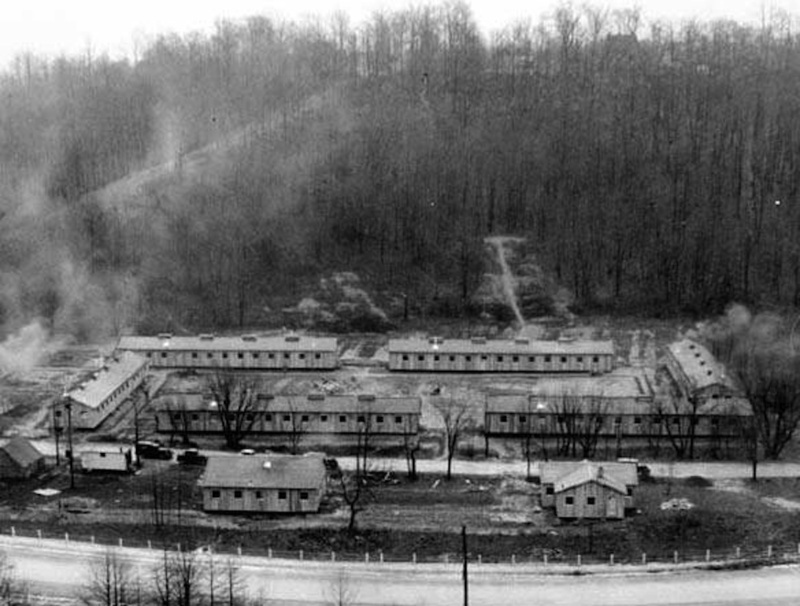 At the time Camp Euclid was founded, both local labor and materials were used for construction of the barracks. Once built, the cost of running a CCC camp reached upwards of $5,000 a month for food, supplies and maintenance. Additionally, CCC camps hired "local experienced men" to dissuade any possible resentment felt by jobless members of the community. These men, who were generally selected by the Metropolitan Park Board at Camp Euclid, lived within the immediate vicinity of projects and had experience in the work at hand. 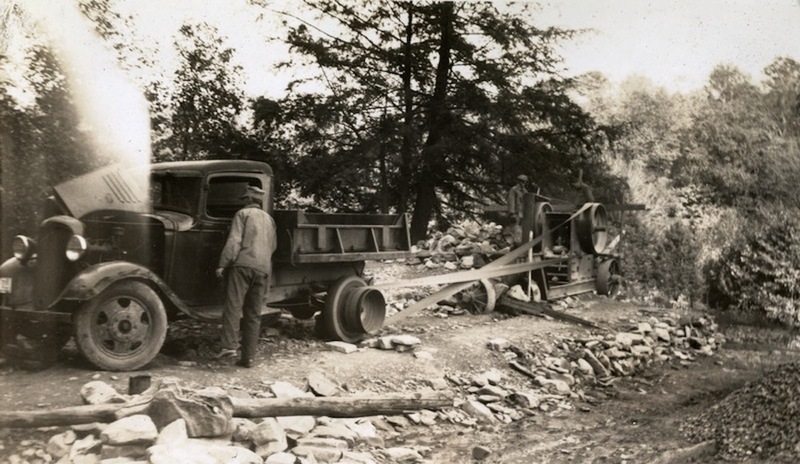 Since WPA funds were also generously expended for park improvements in Euclid Creek Reservation, many unemployed residents of South Euclid with experience in the building trade found temporary work during trying times. 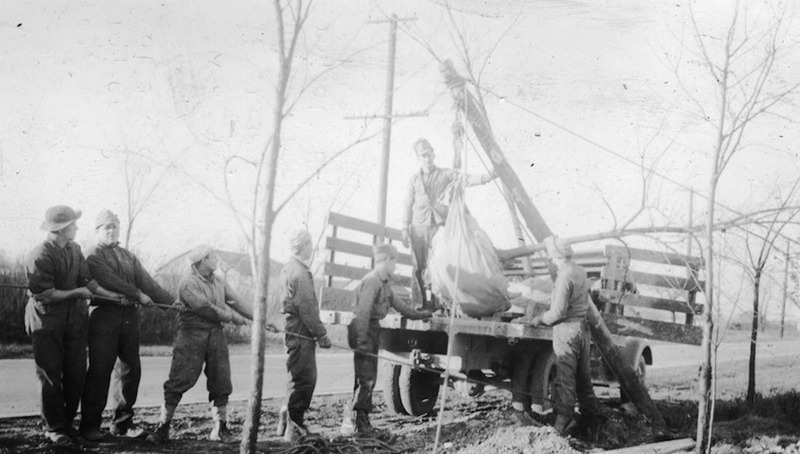 While the CCC camp benefited the surrounding community, East Cleveland and South Euclid residents also did their part in making the work relief program a success. Spurred on by public enthusiasm for the CCC, concern for the well being of enlistees, and a healthy dose of fear over the possibilities of 200 young men with money consistently being set loose on the town, the Welfare Council for Co. 595 formed to assist in the creation of programs at the camp. Representatives of local religious, civic and educational groups composed the board. 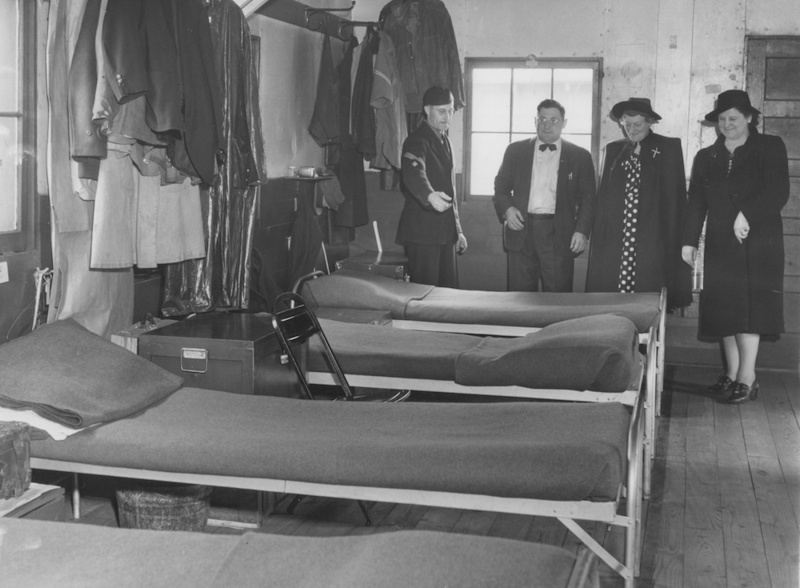 Although the barracks already supplied its residents a government sponsored emergency school, it lacked critical resources like books and sporting equipment. The Welfare Council raised money to fund recreational and educational activities. By 1934, Camp Euclid offered classes in aviation principles, English, commercial art, public speaking, ethics, radio engineering, woodworking, music and banking. Recreational activities such as wrestling, boxing and calisthenics were also offered in the evening. 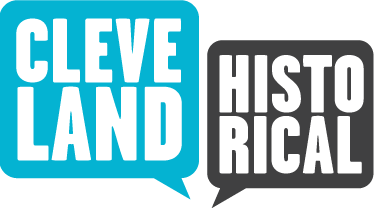 The Cleveland Y.M.C.A oversaw the initial organization of these programs. Camp Euclid staff estimated that 96% of the company took part in one or more of the weekly activities. The combined labors of the surrounding community, CCC employees and recruits, government officials, and the Metropolitan Park Board culminated in the dedication of Euclid Creek Reservation. By the time the barracks at Camp Euclid was demolished in 1944, wartime production had brought an end to the nation's fiscal crisis. 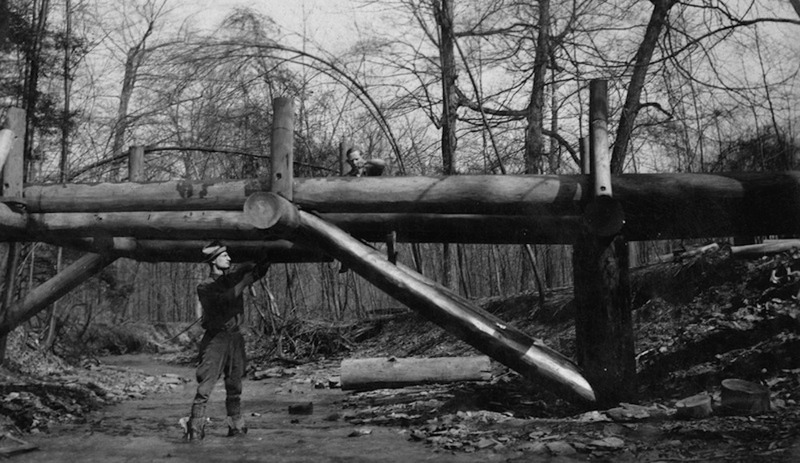 Work relief programs such as the CCC were dismantled; their legacy, however, was imprinted within the radically altered landscape of the Cleveland Metroparks. Grounds that sat dormant during the 1920s while the Metropolitan Park Board acquired property were reshaped as an accessible public park system. The young men who helped create these parks with shovels, picks and axes were also rebuilt. 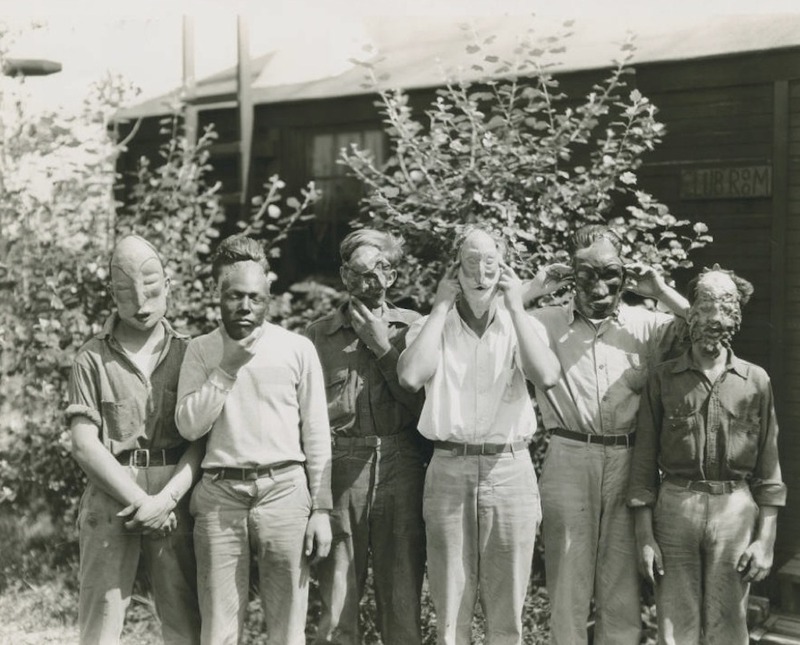 The CCC provided residents of Camp Euclid a temporary reprieve from the hardships of the outside world, and offered them a chance to resume a life that had been impeded by the Great Depression. Richard Raponi, “Civilian Conservation Corps,” Cleveland Historical, accessed April 19, 2019, https://clevelandhistorical.org/items/show/690. Published on Jan 5, 2015. Last updated on Apr 18, 2017.